Who’s on top for acne active ingredients? As we learned during our annual review of the Skin Care category, the facial & body acne medications subcategory experienced a high growth rate of 4.0% in terms of profit and dollars in the independent pharmacy channel1. Acne creams, gels, lotions, and patches is a lucrative segment with an average margin of approximately 41% and a median retail of $11.69. And while there are a number of different high-performing active ingredients available, there are interesting trends in terms of acceptance. Differin®, an Rx-to-OTC switch, contributed strongly to the growth of the facial & body acne medications subcategory. Differin expanded their line of products late last year to include a cleanser for sensitive skin and a moisturizer with sunscreen. Adapalene, the active ingredient in Differin, is the highest ranked ingredient in the subcategory in chain drug. In independent drug, one item performs better and its active ingredient is benzoyl peroxide. Benzoyl peroxide and salicylic acid are the two most common active ingredients in national brands comprising over 60% of the total SKU count in the subcategory. It’s interesting to note that several large brands have both active ingredients in their lines, however, they’re within different products. Clearly, they are offering an array of solutions to address different customer needs. Items containing salicylic acid do well in both chain and independent pharmacy with 38% of total subcategory products including this ingredient. Chain drug shows four of these items in the top 500 SKUs in the entire Skin Care category. Independent drug has seven in the top 1000. 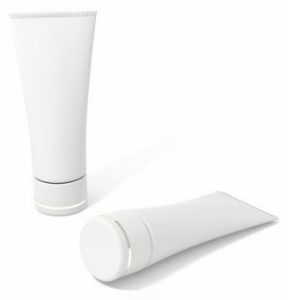 Benzoyl peroxide takes a lead in independent drug with 10% of items that have it as an active ingredient ranked in top 500 skin care products compared to 7% in national chains. It’s also interesting to note that this rank has primarily remained steady year on year with an occasional slight increase among these products in independent drug. Looking for help building a differentiation or innovation story for your products? Want to know more about the category and subcategory, your competitors, and the market? HRG is here to assist you with that vision.